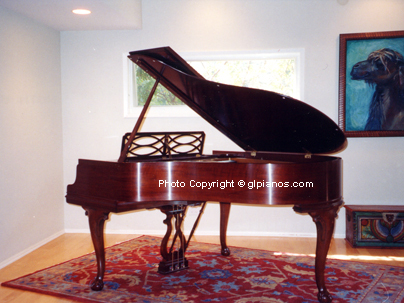 We refinished this Steinway in a Semi-Polished Mahogany. 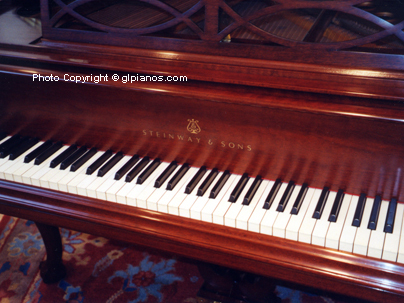 Here we installed a new Steinway & Sons decal. and music rack were damaged. 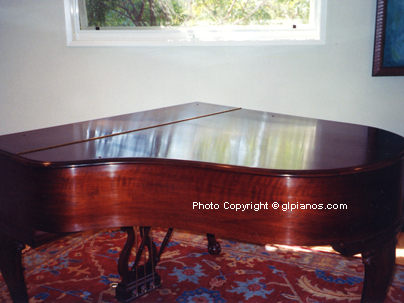 At their request, I wrote a proposal to their insurance Co.
and we restored the piano to pristine condition.